Any digital agency Ireland has come to know as a competent one, knows about Facebook’s jealousy towards Snapchat. I mean, Facebook is proper jealous. First, Zuckerberg tried to buy out Evan Spiegel’s enfant terrible. $3 billion was offered. The bid failed. Ever since, he’s actively tried to beat it. Remember Facebook’s ‘Poke’? And not the thing you do to your crush at 4AM on a Sunday? Yeah, that failed too. Poke was Facebook’s attempt at a ephemeral messaging system like Snapchat’s. You read a message, and it disappeared. The app was a reaction to Snapchat’s soaring popularity, and a blatant attempt to challenge it. Well, Poke literally disappeared. And maybe you’re familiar with a little ol’ app called Instagram. Well, Facebook own Instagram too, remember? Do you also remember that Instagram launched a similar Snapchat feature with their own version of ‘Stories’? Yeah. He’s got it bad. Instagram Stories still remains, but how popular it is can’t be verified just yet. But its just another attempt to gain some foothold in that younger market which is cornered by Spiegel and his Snapchat application. And so it it, that Facebook again aggressively mirror a Snapchat feature in a bid to cut the competitor down to size. Is it a success? Time will tell, but, as history repeats itself more often than not, we’ll surely be looking at another Zuckerburg burn. 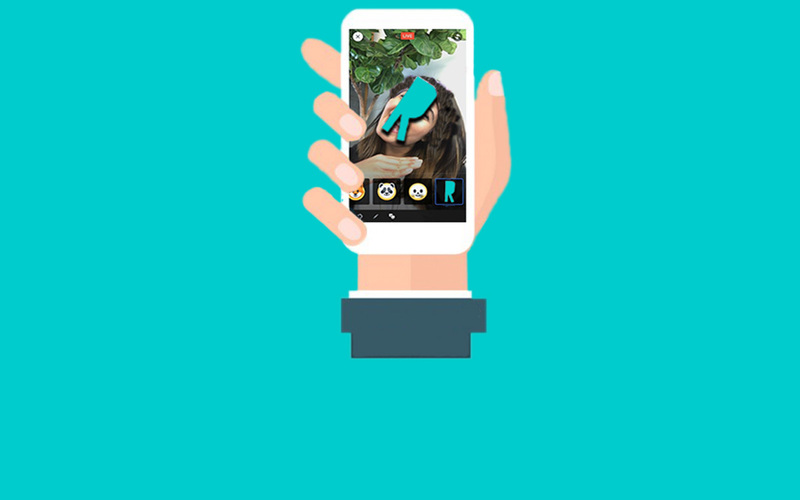 Facebook acquired MSQRD the video filter app in March of this year, and have utilised it’s technology to use Snapchat like-lenses for their live streams, and video calling. Launching it days before Hallowe’en, they rolled out spooky, Hallowe’en-y filters to show off the technology of MSQRD. Its not totally laughable to believe that Zuckerberg can claw back some parity within this Snapchat cornered market. But any digital agency Ireland’s businesses can count on, will know that victory for Facebook is very much only a slight possibility. However, this digital agency Ireland knows as ‘Rogue Creative’ is sure Zuckerberg will keep trying ’til he gets it.